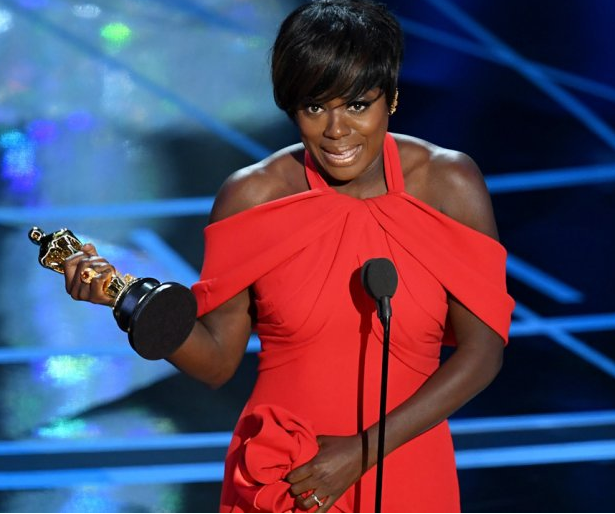 Viola Davis did not only win her 1st Oscar at the 89th Academy for Best Supporting Actress, she also enters into one of the most prestigious acting clubs in the world, EGOT. “Fences,” Davis becomes the 23rd person to nabbed the triple threat title of acting, a term used to describe actors and actresses who have won at least one acting award at the Oscars, the Emmys and the Tonys. She is the first black woman, whileWhoppie Goldberg also has 3, but her Tony win was for producing Broadway musical ''Thoroughly Modern Millie' not acting.